Christine Dupres has a Ph.D. in Folklore and Folklife from the University of Pennsylvania. She is a descendent of the Lower Cowlitz and the Cree of Manitoba, Canada, and currently lives in Portland. She has worked for the National Policy Consensus and NAYA Family Centers in the areas of development and community engagement, served on the board of Oregon Humanities, and is on the faculty at the American Leadership Forum and the owner of Radiant Life Counseling. We talked about her recent book, Being Cowlitz, published by the University of Washington Press in 2014. EB: In Being Cowlitz, you talk about the importance of stories in understanding a people. Can you tell us a bit about the kinds of stories you studied? CD: First, let me define the word “stories” as used in my book, because while I do take a look at myth, lore, and legend, the real stories at hand are narrative strategies, used by Cowlitz Tribal leaders to reinforce their members’ identity. I think of stories as metaphor for transformation, as the way we use narrative strategically, as a means of relating experience and history that moves us across minds. Because I think of stories and storytelling in this way, stories run deep and are also quite cagey. Vi Hilbert, an Upper Skagit elder, activist and linguist, said that “Storytelling allows you to hear the soul and spirit of words” and I agree. Stories build relationship and understanding. Perhaps most importantly, minorities in this culture are so often isolated deliberately and systemically from their tribe, their history, and each other. Stories shared unburden each of us from isolation, allowing us to share and tell our truth … in this way they are both incredibly powerful and disruptive, as well as reparative. The stories I write about in Being Cowlitz are exactly this kind of story, the kind that knit together what might otherwise be torn asunder. Kenneth Burke said stories are “equipment for living’ and that’s how I think of them – they lay the architecture for our behavior, and they also help clarify and articulate what we really think what we really feel. EB: What did you learn from the stories? CD: I began my book as a person unsure whether to inhabit the Native American self to which I felt so pulled, and fully unsure of what that inhabitance even meant – for example, I didn’t know the name of our Cowlitz languages; I couldn’t repeat a tribal story; I knew my family, but not many other members of the tribe; I pulled Smelt, but not in ceremony … the list goes on. I ended the process of writing feeling much more entitled to be what I was always told I was. Instead of feeling apologetic about who I was, I felt articulate and entitled. EB: Did the stories evolve over time, as the tribes situation changed? 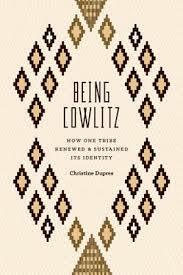 CD: Yes, Being Cowlitz is a book about how stories adapt and change, according to who is telling them and why. EB: There is also an aspect of personal history in the book as well. Did the stories change you? CD: In the end, In place of what I didn’t know, was a story, were many stories… and in place of what I didn’t understand was a compassion for myself, and other Native American and multi racial people who probably struggle with questions of racial identity, inequity, and erasure in their own way. I was also left with a sense of my place in a history … that’s proven invaluable. In exchange for a book, I got a new voice. EB: How did you go about researching the history of the Cowlitz tribe? What were some of the challenges? CD: The biggest challenge was a lack of readily available, substantive literature on the Cowlitz. The reliable documented accounts were few, and outdated. I found I couldn’t lean on primary source material to create the argument I wanted, and – furthermore – I valued the opinions and lived experience of Cowlitz people whom I interviewed. I did gather church and cemetery records, clippings from local southwestern Washington newspapers, and government depositions and documents, but they would prove insufficient. Even now, it’s tough to find organized, in depth information that is reliable on the tribe. EB: In addition to being a writer, you were trained as an ethnographer and folklorist. What aspects of your academic background were most useful in your work? Or were they? CD: For the most part, my training and academic background proved useful. Because the discipline of Folklore shines most brightly in its analysis of culture and the place of narrative in culture, and because I love the way stories work among people, I could use the best thinking in Folklore to support my own belief that lived experience is the most compelling evidence. At times, because the University of Pennsylvania demanded academic rigor and yet first-hand narratives were seen as somehow less rigorous (I think) than other forms of academic research, I struggled to combine my primary and secondary sources. Also, the academic voice of authority becomes problematic when you are a Native woman who belongs to the very tribe she’s researching. 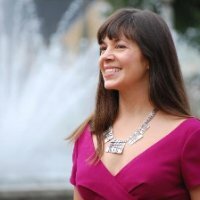 There was a complex intersectionality and tension to the process of research that existed and still exists: I am a woman, a scholar, a Cowlitz, a Cree, educated, urban dwelling … the composite of what makes me and the inherent power differentials made research among my people tricky at times. EB: You talk about “genres of attachment” in historical discourse. Could you explain that a bit? CD: Certainly. Rather than giving you a theoretical explanation of what I mean by “genres of attachment,” I’ll give you an example. The Cowlitz Chairman, John Barnett, once spoke very powerfully about Mt. St. Helens and its eruptive power. Now, while St Helens looms large in many peoples’ imagination because it blew its top so spectacularly in 1980, it lives differently in the imagination of the Tribal Chair, and other Cowlitz people, who – for 10,000 years – occupied a prairie that lay at the mountain’s feet. Because there is such a deep visual, experiential, and sensual attachment of the Cowlitz people to the mountain, when a leaders summons the memory of the mountain, it will most like resonate for a tribal person much differently than it might for an Italian tourist, say, or an American climber. The metaphor of the mountain summons a lifetime of personal memory, and millennia of collective memory. That’s a metaphor, or genre, of attachment. EB: It seems that your study would be useful looking forward as well, for cultural and linguistic preservation efforts. Are you involved in those? CD: I was, Ed. The Cowlitz Tribal Chair asked me to pursue language preservation for the Cowlitz Tribe, and so I wrote a federal grant to do some preliminary research into what of the Cowlitz Salishan and Saphaptin languages still existed. Concurrently, language was being taught by Marla Dupuis (Chehalis) and linguist Dale Kincade at the Chehalis Tribal offices. I took those classes, because the Lower Cowlitz (Salish) language and Chehalis languages are so closely related. I left tribal employ before a second language grant could be written, but I know there are Sahaptin speakers in the Yakama Tribe, and suspect some more speakers still live at Warm Springs. The upshot is that efforts to renew and restore the Cowlitz language live on. Michael Hubbs, a Cowlitz elder, has personally taken on the role of teaching the language to our Cowlitz children, and transcribing tapes recorded by linguist Dale Kincade in the 1970s. Kincade, a few weeks before his death, also completed a Lower Cowlitz language dictionary, and the tribe was able to purchase the dictionary for its members with the funding from the federal grant. Though applied linguistics was less in fashion in the early 2000s, I believe there is renewed interest in language preservation and revitalization. Tribes value keeping language alive, as do linguists, as do tribal linguists like Vi Hilbert, a Skagit elder and visionary for her tribe. EB: What was the most rewarding aspect of writing Being Cowlitz? CD: It’s hard to choose, because the process of writing was so growthful. In this moment, I’d say the most rewarding aspect of writing Being Cowlitz was being able to understand and admire the tenacity and intelligence of the Cowlitz leaders and people, and how their Native story is by no means unique among other tribal peoples – in the United States and worldwide. The struggle for justice and meaning continues, despite the odds. Being Cowlitz is really a story about the human spirit, and our individual ability to create change and make things better. Even make things right. CD: Thanks so much, Ed, for the opportunity! I am truly grateful. This entry was posted in Interviews, Language. Bookmark the permalink.